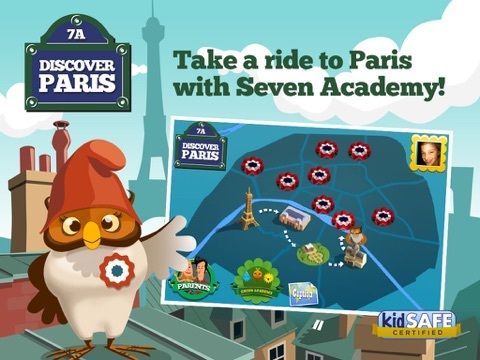 Discover Paris takes kids on a tour through 11 key sites in Paris to learn about art, history and important places of French culture. 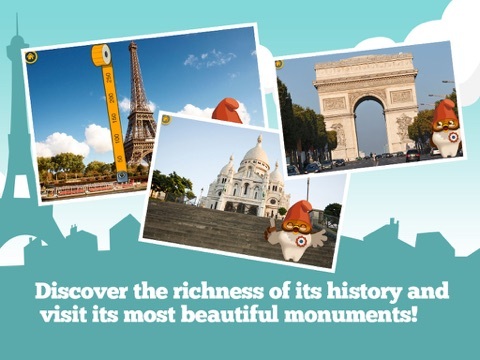 The app uses narration from a simply animated owl over the top of quality images of Paris. Kids interact and learn by answering question asked by the owl but overall the experience in mostly passive. Discover Paris uses rich vocabulary and facts which parents can even enjoy and may want to clarify for young children. This app is part of a larger series of educational apps from Seven Academy. 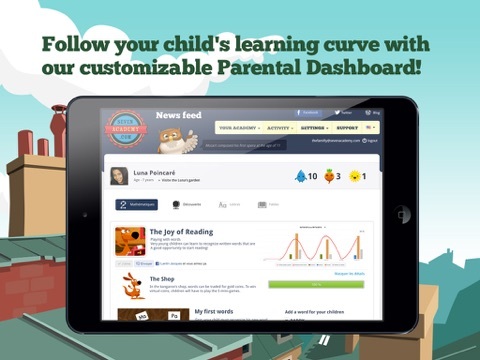 You’ll find options to log in and set up an account to manage your child’s progress and learning. This app has a very long initial load time and is free to try with in-app purchases (which can be turned off in the settings).